BACnet Building Automation and Control Network, developed by the American Society of Heating, Refrigeration, and Air-Conditioning Engineers (ASHRAE), is the most popular open protocol found in building automation and energy management systems. The intent of this open standard is to allow building owners and systems integrators the opportunity to pick and choose BACnet-compliant equipment from various vendors. 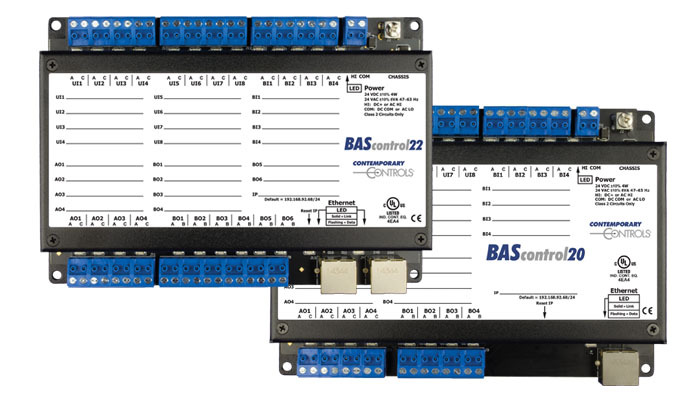 Contemporary Controls endorses the "open control" concept and its BASautomation line of BACnet products offers open solutions when implementing networked controls in buildings. 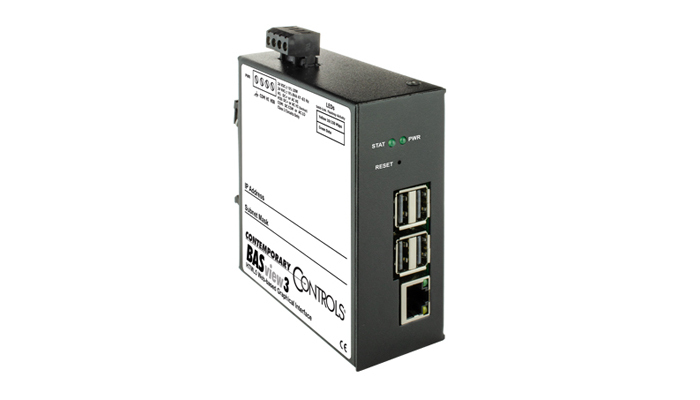 BACnet client devices initiate commands while BACnet server devices respond to commands. BACnet devices communicate to one another over a network. The more popular networks include the Internet Protocol (BACnet/IP) and the Master-Slave Token-Passing network (BACnet MS/TP). Interconnecting BACnet networks requires BACnet routers while connecting non-compliant BACnet devices, such as Modbus to a BACnet network requires a gateway. Supervisors typically reside at the IP level functioning as clients while I/O modules and communicating thermostats reside at the MS/TP level functioning as servers. Controllers can be found at either level functioning as servers or in some cases as client/servers. 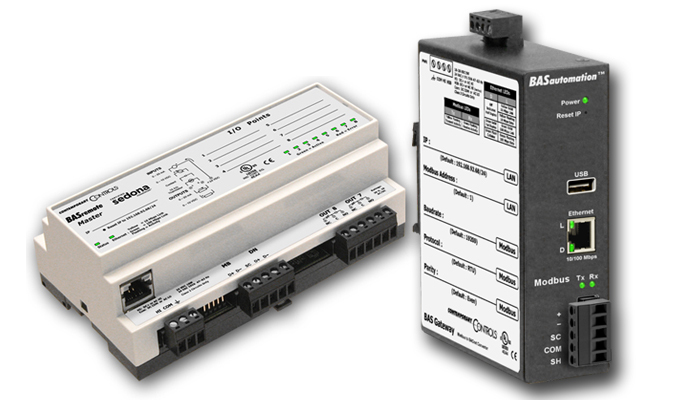 Whatever the product need, the BASautomation line has a solution. Supervisors provide both BACnet/IP client functionality and control in one package. Besides BACnet MS/TP and Modbus to BACnet integration, supervisors provide head-end capabilities such as alarming, trending, scheduling and graphics. The BASrouters are multi-network routers used to route messages between BACnet/IP, BACnet Ethernet and BACnet MS/TP networks. 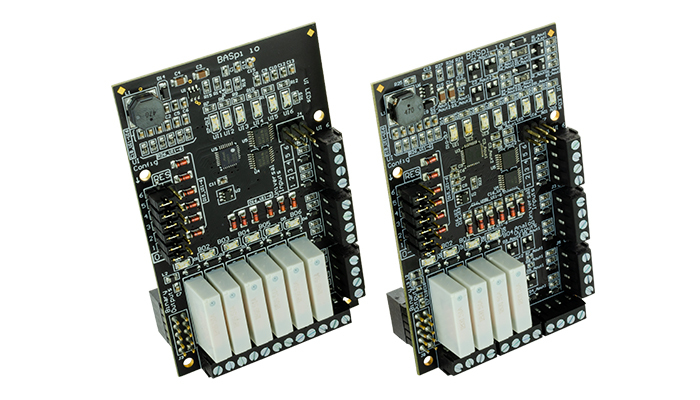 Three versions are available—two DIN-rail mounted units for fixed installations and a portable unit for commissioning and troubleshooting. Designed for home automation enthusiasts, HVAC students and DIYers in general, the DIY products are not toys but truly open controllers built on both open software and open hardware. Using the latest micro PCs and resident control software, these DIY products allow the user to create next generation Internet of Things (IoT) platforms. 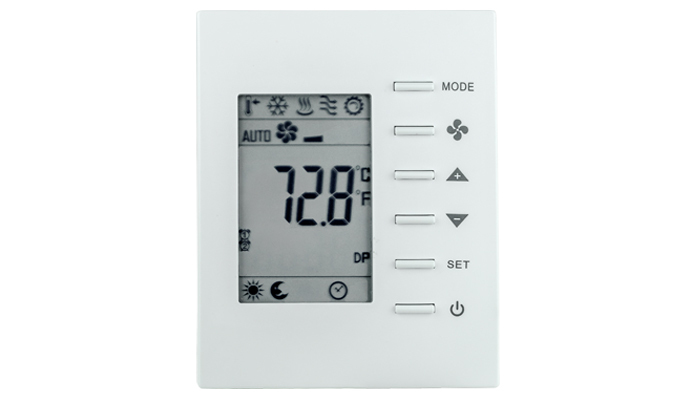 The BASstat line of BACnet Communicating Thermostats feature BACnet server functionality over MS/TP or Wi-Fi. Models exist for multi-staged heating/cooling of rooftop units (RTUs) and for 2-pipe or 4-pipe fan coils (FCUs). These devices can easily be supervised by BACnet clients. 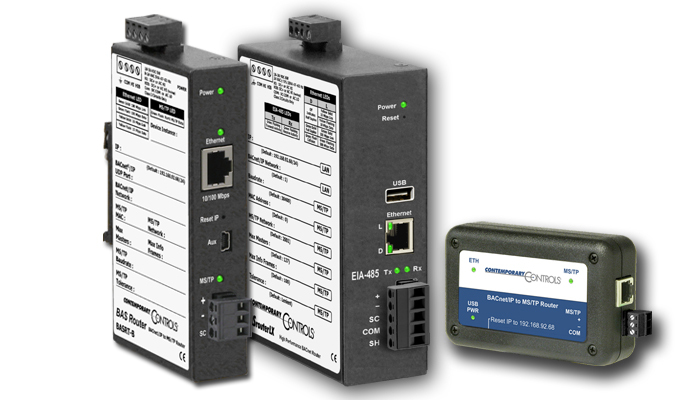 For those installations that support a fieldbus solution such as Modbus RTU or BACnet MS/TP, Contemporary Controls provides solutions for expanding the number of I/O points in the field. 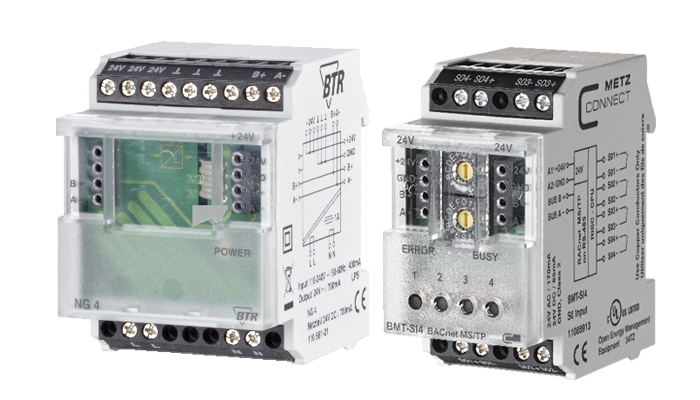 Cost-effective Cube I/O modules are available with analog and digital inputs and outputs in varying combinations.